There are more than 50 amusement parks in Germany. This is surprising considering that Germany is slightly smaller than the size of Montana. While some are small and locally-owned, many draw in tourists from all over Europe. With a twist on the mythology theme, Belantis successfully combines the appeal of mythology into a theme park full of thrill rides and entertainment. Belantis is known primarily for its roller coaster the Huracan. The Huracan brings its passengers up about 32 feet in the air, lets them free fall the entire way down and then turns through a series of spirals and loops. It is unique among roller coasters for combining so many elements. 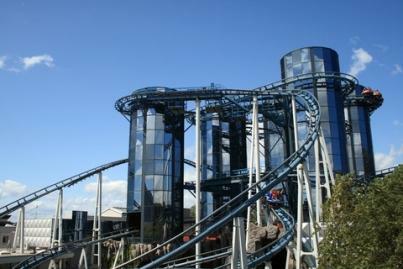 The theme of Europa Park is "the united continent of Europe". Consequently, the park is organized according to European countries, with each section featuring rides that are representative of a different country, similar to how the sections of Epcot are organized. The park is the largest amusement park in Germany, with both water and thrill rides sprinkled among a bunch of culturally relevant attractions like Baltshazar Castle. While Fort Fun might not be the largest amusement park in Germany, it does have a variety of rides and attractions for everyone. While the park has the standard fare of roller coasters and other typical amusement park rides, the park's biggest draw is Gipfelstürmer, a vertical climbing wall perched on the highest point in Fort Fun. Climbers that reach the summit get a breathtaking view of Fort Fun and the surrounding landscape. Freizeit-Land is on the edge of Steigerwald Nature Park, combining the two attractions. The amusement park itself offers a variety of attractions from roller coasters to kiddie land adventures. If visitors are not interested in either the thrill rides or the nature preserve, they can always visit one of the numerous shows for which Freizeit-Land is known. While there is a lot to see in Heide Park, it is known for its wooden roller coaster which is one of the biggest wooden roller coasters in the world. While the Colossos wooden roller coaster may be its most well known feature, the park has six total roller coasters, several water rides, spinning rides and even a ride that simulates a bob sled track. Set in the backdrop of a beautiful forest, roller coaster aficionados and families alike flock to Holiday Land to enjoy pastries, thrills and what some have deemed to be the best roller coaster in the world. Expedition GeForce boasts a monumental seven air times and reaches 4.5 G making that feeling of weightlessness that thrill seekers love. Movie Park is a little slice of Warner Brothers in Germany. With attractions that pay homage to various Warner Brother movies, American tourists will find it to be a little slice of home. Still, the park thrills thousands of Europeans each year with their motto, "Today, you get to be in the movies!" Phantasia Land is divided into six themes: Deep in Africa, Mexico, Berlin, China Town, Fantasy, and Mystery. Each area hosts attractions and entertainment that fit the theme of the area. For example, going to the Deep in Africa area, you will find dancers along with the Black Mamba roller coaster. In the Fantasy area, kids will see the lives of the Wuze, a fictional world complete with an entire back story supported by the buildings, activities and costumed employees. If you are visiting Germany and hope to make a day at one of the many amusement parks there, it's best to check out a travel guide such as Frommer's, before going to get the most up-to-date information on etiquette, travel needs, and directions. Note that the larger parks are accessible by train within Europe. Most will offer currency exchange stations as well. These parks are used to dealing with non-German speaking tourists, and it's likely that you can even find someone who speaks English if needed.